Upon traveling south from downtown Houston on I-45 and exiting on League City Road, you may make a left turn off onto an inconspicuous street and pass by old but neat houses that seem to belong to another era. At the end of this road, you will suddenly come to 50 acres of open area with a gate sign saying Fairview Cemetery. 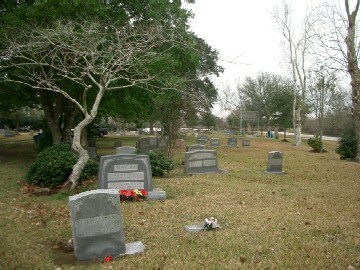 Unknown to almost all Houstonians, this is the final resting ground of Mr. Seito Saibara and his immediate family. 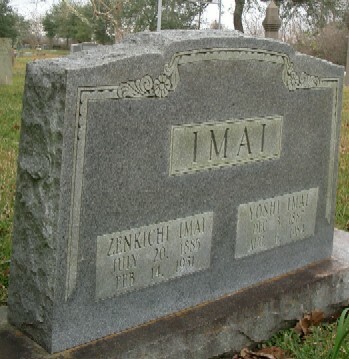 In one section of this quiet and peaceful land, one realizes that a true Japanese pioneer who immigrated to Houston, Texas over 100 years ago, is remembered only by a grave marker noted with the simple inscription, SAIBARA. 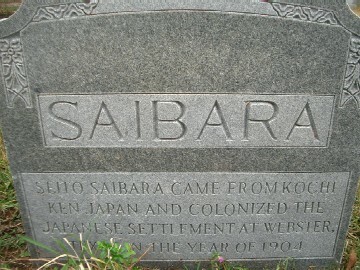 Next to Mr. Saibara are six grave markers that include his parents, wife, and sons. 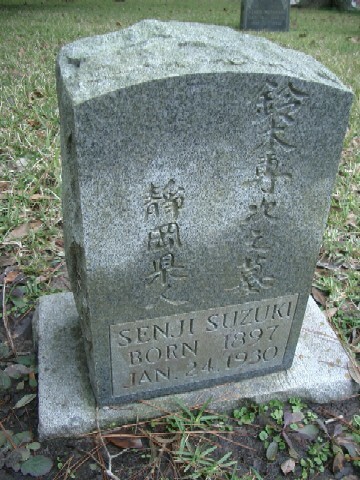 A few steps away, one will find 36 other Japanese markers, three of them noting people who were born 123 years ago, and who reached the shores of the U.S. a century ago. Who were these people? What made them travel to this distant land called Texas? Whom did they leave behind and how did they bear the hardships of being foreigners? 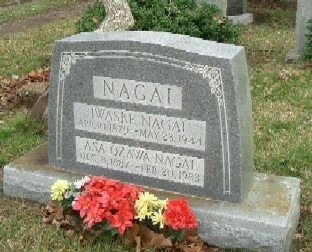 History whispers in this remarkable section of graves seldom visited by anyone anymore. *If you wish to be notified of this special event, please contact Daniel Watanabe at wresources@earthlink.net or FAX at (281) 498-1949.